The first thing to consider when packing for a country is the culture. The wonderful thing about visiting Japan is that clothing is often used and embraced as an expression of personality. This means that nearly anything goes, within reason of course. As always, it’s important to consider safety and comfortability when deciding what to wear as a solo traveler. That being said, Japan allows a lot of freedom of choice in clothing and style. 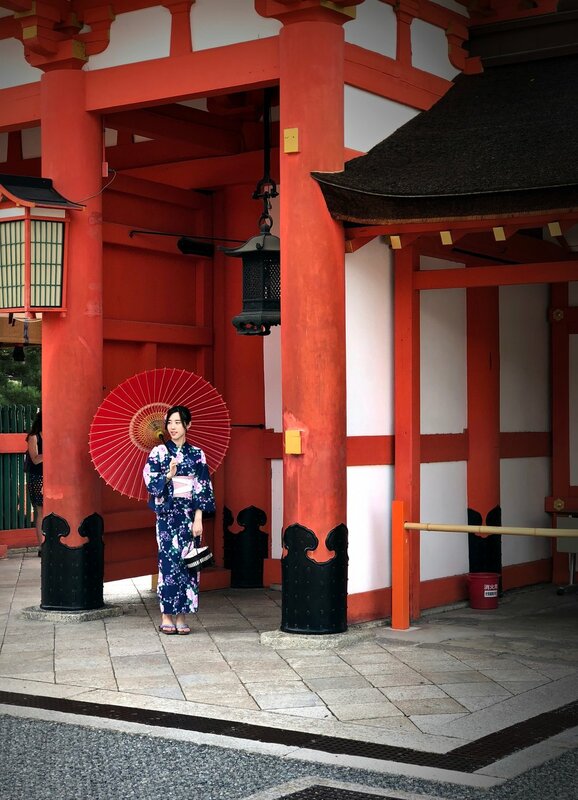 From traditional kimonos to casual “athleisure” to modern trends and even costumes, Japan encourages each individual to dress to their heart’s desire. When traveling alone, you want to make sure that you neither overdress nor underdress. You need to keep in mind the culture, the weather and your intended activities, and pack accordingly. I have chosen to stick to a mostly casual wardrobe that can be dressed up or down for my trip to Japan, but I have also thrown in a few fun, funky pieces that I feel embrace this sort of free spirited vibe. Note: Check the weather about 2 weeks before you depart so you know what to expect when you arrive. For this trip, I am brining a lot of layers. I have to factor in a stopover in Helsinki, Finland which means I am going to have to bring a few items for the cold weather. Furthermore, I will be in Japan for nearly a month, so the transitioning weather means I need to be prepared for all possibilities. I will admit, I am probably bringing too much on this trip, but I like to mix it up when I travel. I get tired of wearing the same things over and and over again, plus this is the only time I’ll ever get to visit Japan. I am visiting 6 distinct cities, each with a unique vibe, so this also has impacted the number and variety of items I am packing. As I will be visiting Japan during Cherry Blossom Season, cherry blossoms have been my inspiration for my travel wardrobe. While I normally stick to a simple black, white and/or beige color scheme, pink has definitely become my accent color for this trip. Note: What you pack will largely depend on your activities. I will be doing a lot of walking, dining in both nice and casual restaurants, going to museums, visiting temples, gardens etc. and this packing list has been created to suit these activities. One of the things about Japanese culture is they take their shoes off frequently. Whether you’re visiting a temple, a restaurant, even the bathroom, you’ll often have to take your shoes off. Thus, you are going to want plenty of socks. You might even take this opportunity to make a statement about your personal style! 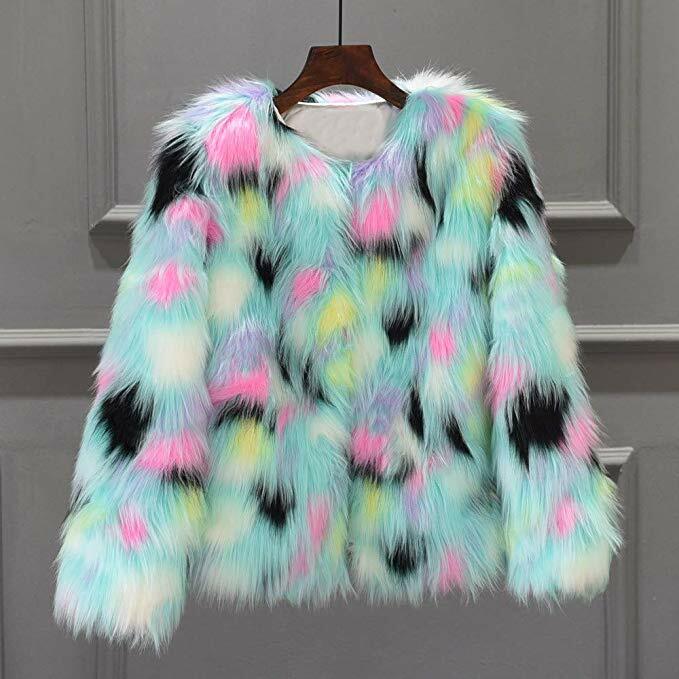 For this trip, I have chosen a multi-colored, fun, funky, faux fur jacket as my out there piece for this trip to Japan. This jacket is very out of the box for me, but I feel as if it has an attitude of care-free lightheartedness and uninhibited expression which the Japanese so fully embrace. Do as the Japanese do! I recommend taking this opportunity to wear something that’s bold, unusual, or says something about you. Part of the reason why I am bringing a more sturdy coat is due to my pit-stop in Helsinki, however I am not entirely sure what to expect from the weather in Japan. As we’ve all experienced, not matter where you are in the world, the weather can change on a dime. I have seen photos of some people wearing heavy jackets during this time in Japan, so just to be on the safe side, I’d recommend brining one. You’re going to want something sturdy, utilitarian and versatile so you can wear it with nearly any outfit you are going to pack. A simple jacket is an easy, essential layering piece that will definitely come in handy when the weather is somewhat unpredictable or fluctuating. A simple, down vest is another one of those key layering items that can keep you warm when you need it, but is also very lightweight and can be packed without compromising weight or space in your suitcase. A vest is ideal when the weather is teetering on being just a little chilly which is why I’m bringing it to Japan which is slowly transitioning from winter into spring. Shawls, wraps and ponchos are wonderful to layer under or over a coat, over a simple top to add some flare, and even bring on the plane for extra comfort. Pick something that you can dress both up and down. I plan to go to a few theatre performances and activities at night as well as attend a few nice dinners, so a simple, but fun dress is perfect for these occasions. Again, layering is key here. A lightweight, breezy dress is a staple piece that you can wear multiple times in multiple ways for a variety of activities. Though I have never purchased from them, Everlane is a company focused on ethical, sustainable, transparent fashion. From what I have found, this company appears to make high quality, affordable products. Rather than the typical blue jeans, I am opting for both white and pink jeans to keep consistent with my Cherry Blossom inspired theme, but blue jeans would work fine as well. Comfort is very important when deciding what to pack for any trip, so make sure you choose pants that fit you well and that you feel comfortable walking around in. For a casual look, you can wear a sweatshirt on its own paired with jeans or you can dress it up a little bit by putting a turtleneck underneath and/or a pashmina on top to give it a little extra pop. A black cardigan is always a given in my travel wardrobe, because it’s such a versatile and utilitarian piece. However, choosing to bring some spunky sweaters would also be a great, easy way to jazz up your Japan travel wardrobe. Tracksuits come in and out of style all the time. I haven’t worn a track suit in 10 years, but I think they’re on the rise again, and they’re so comfortable and easy, it’s hard to resist. If you are skeptical about sporting a tracksuit, consider general “athleisure” wear instead. I am bringing plenty of turtlenecks on this trip simply because they make such great layering pieces, they’re comfortable, and will keep me warm. Bring whatever simple tees you already have in your closet and get ready to do some more layering. I am bringing mostly long-sleeve tops for this trip to Japan, but if you’re warm-natured, you might want to bring a couple short-sleeve tees as well. Any skirt: short, long, denim, cotton, etc. is a great way to throw just a little bit of variety into your travel wardrobe. I came across a pink silk skirt on a recent trip to Fort Lauderdale, and couldn’t resist adding it to my Japan suitcase. I came across a very lightweight, silk-like kimono jacket while searching for things to wear in Japan and thought it would be a very good way to add some pizzaz to my collection! Believe it or not, kimonos are actually still worn in Japan. They can be spotted on people just walking down the street, attending a tea ceremony, visiting a temple, etc. I do intend to wear mine to a tea ceremony and perhaps while visiting some temples as well. I’ll likely never get another chance to wear a kimono again, so I am eager to wear such a unique piece. Perhaps it’ll help me get into the Japanese zen consciousness! Beautiful silk robes are very popular among the Japanese. If you plan to visit an osen bath or spa, this is a great chance to wear such a fine robe. During part of my trip, I will be staying in a traditional ryokan so I think this robe will be perfect for helping me feel fully immersed in the experience. As you will shortly learn if you watch my “Packing for Japan” video, I am big on pashminas. A good pashmina is excellent for draping over your shoulders when it gets a little chilly, layering over a simple top or under a jacket. 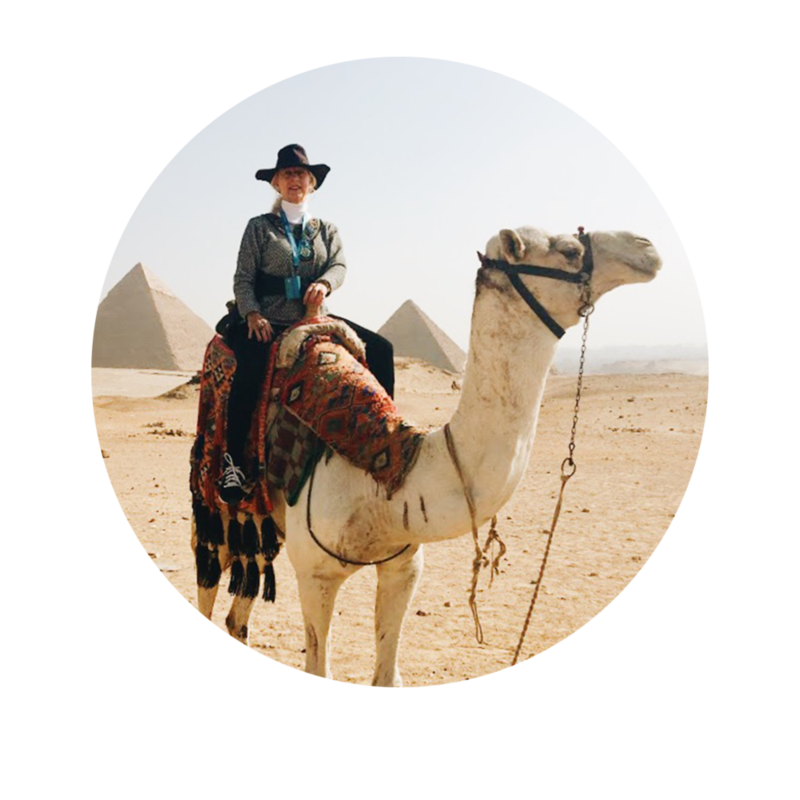 I find that pashminas are a great way to add variety and flare to your travel wardrobe. Pashminas have become one of my favorite travel souvenirs, and I am sure I will return from Japan with yet even more! I find that maxi dresses are so comfortable to wear, they simply can’t be beat. I’m choosing to wear a maxi dress on the plane for optimal comfort and ease. This is a great piece to have no matter where your destination may be. Rather than toting around a heavy purse , I have found that it is much easier to stash all your belongings in an easy-to-carry backpack. With endless options to choose from, backpacks are another great way to show some self expression. A small, lightweight crossbody is nice to take around throughout the day during your travels. If possible, try to find a purse with a chain strap as opposed to leather or cloth which can be slashed easily. If you’re going to be attending fancy dinners, plays or doing anything that requires you to be dressed up, you’re going to need some nice shoes. Try and find ones that are comfortable! I have mentioned this brand numerous times over the years, but Aerosoles remains my favorite brand for stylish and comfortable shoes. Aerosoles makes a wide variety of shoes including booties and pumps. If you’re looking for a pair of nice, fancy shoes you can actually walk around in, I highly recommend this company! I chose to bring a pair of heavy, sturdy, water-proof boots to bring with me to Japan. They’re comfortable, easy to walk in, and stylish. Plan to wear your heaviest pair of shoes on the plane if possible! If you plan to pound the pavement, you’re going to need a reliable pair of walking shoes. The last thing you need on a solo trip is sore feet! Sandals are great for walking and, when in Japan, you’re going to want shoes that are easy to slip on and off. Plus, you’ll have a chance to wear some fun, Japanese toe socks! Sun protection is something to take into consideration regardless of your travel destination. Even if it’s winter or overcast, you are still exposed to UV rays. Hats are also a very fun way to add some spice to your look. Some of the most common questions I receive pertain to packing, as it can be a major stressor for some people. If you are planning a trip to Japan, I hope you have found this information useful and helpful. In addition, you may want to download my free packing checklist, which you can find here! Furthermore, I thoroughly enjoy creating packing videos for every trip I embark on. I like to add a little bit of cultural perspective and give more detailed explanations as to how and why I came to my packing decisions! You can find my “Packing for Japan” video below! Note: this video also briefly features a certain special guest, my beloved poodle, Fleurty Girl! This is my first trip away from her for an extended period of time, but I anticipate some “traveling with pets” posts coming to the blog in the future! Stay tuned!